Sewing Machine, thread, bobbins, etc. Fold the seat portion in 1/2 and sew the other long side together (wrong sides together). Turn right sides out. Hem one of the long edges of each of the pocket pieces. You can use larger pieces and attach elastic to the top edge to create a puffy pocket look. Next, sew the large pockets to each of the side pieces. Make sure your raw/unfinished edge is even with the bottom edge of your side pieces. If you desire to divide your large pocket into two pockets, now is the time to sew a dividing line to create that look. Next sew your small pockets onto the bottom edge of the side pieces (on top of the large pockets). Make sure your bottom edges are all even. Sew the top edge of your side pieces and your handle edges inside each open end of the seat piece, about 1/2" in. Decorate with embellishments if you desire. The handles allow you to keep hang up your organizer, neat & full of supplies, when you no longer are using it. Sew two stitching lines, on your pocket, 4" apart. This divides your pocket into 3 pockets. Finish the edges...hem, use bias tape, serge, etc. 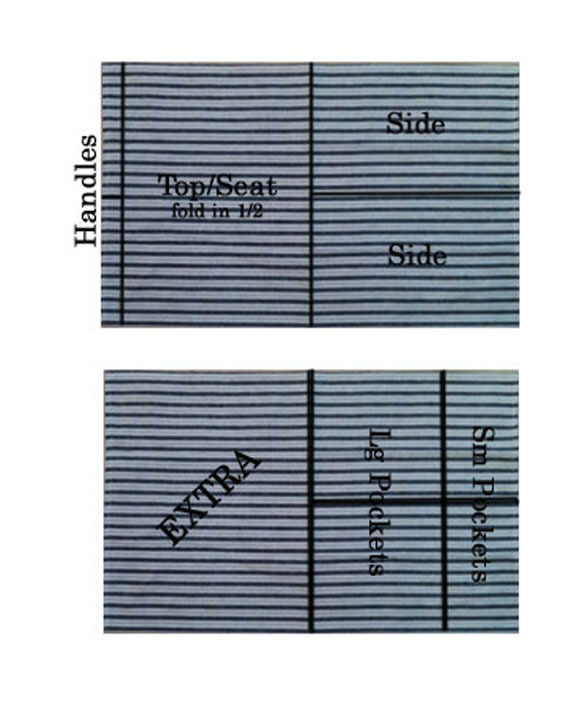 Measure across the chair back that your organizer will be used on. Add 3" to that measurment. Cut a piece of fabric 36"X (measurement of your chair). Fold over 10" and pin. This is that fabric than will be on the front side of the chair. Next cut pieces of fabric to the desired width and size of the pockets you want. Specific pockets can be created for your individual needs...for student dorm rooms, crafters, office worker, etc. 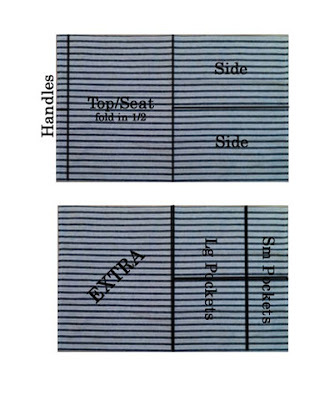 Sew the pockets as you did above (arm chair organizer) and finish the edges.